The Socio-Spatial Climate Collaborative, or (SC)2, aims to deepen understanding of the intersection of social, health, and environmental inequalities in the built environment, with an eye to public engagement and informing policy. By focusing on questions of both carbon and well-being, we use big data to link social inequalities with the causes and effects of climate change in a single framework. (SC)2’s first research project is “Whole Community Climate Mapping”, a collective, interdisciplinary project to create, analyze, and share with the public a household carbon footprint database and climate vulnerability index for the United States of unprecedented spatial resolution, along with a wide range of other social, health, and environmental indicators—all at the neighborhood level. We will publish our results in top journals, make our data public, work with community groups and policymakers on problems that we determine through collaborative processes, and we will produce an attractive, interactive mapping tool for the public and policy-makers. As inequality becomes increasingly fractal, we need such fine-grained analysis both to understand what is going on. And we need neighborhood-level data to inform the kinds of targeted investments needed to alleviate social and environmental distress in an effective and egalitarian way. Greenhouse gas (GHG) emissions are the root cause of climate change, one of the gravest threats facing humans in the 21st century. But we still know little about the intersection of demographic and geographic drivers of GHG emissions, and their overlap with a range of climate, health, and social vulnerabilities. Our knowledge is especially weak at neighborhood level, where cutting edge big data approaches are promising. We still have only the roughest understanding of how much income inequality shapes emissions, and how these same patterns shape unequal vulnerabilities to climate change and other health threats. Growing public discussions of a Green New Deal show just how much interest there is in holistic narratives about climate change and inequality. “Whole Community Climate Mapping” will provide the kind of missing data (and visual tools) that could support public and policy debates on how to tackle climate change’s causes and effects in an intersectional fashion. (SC)2 has received at the University of Pennsylvania from the Population Studies Center, Penn’s Kleinman Center for Energy Policy, Penn’s FELS Policy Research Initiative, and Penn’s Perry World House. We are actively seeking further funding to complete and communicate our research. Daniel Aldana Cohen is an Assistant Professor of Sociology at the University of Pennsylvania. His research focuses on climate change, inequality, cities, and the built environment. His research has appeared in Nature, Public Culture, the International Journal of Urban and Regional Research, and elsewhere. Kevin Ummel is a Research Affiliate at the University of Pennsylvania’s Population Studies Center and President of Greenspace Analytics. He is a data scientist and environmental economist who has helped modeled carbon footprints and emissions for the Institute for Advanced Statistical Analysis (IASA) in Vienna, the World Resources Institute, the Center for Global Development, and the Citizens’ Climate Lobby. Pilar Gonalons is an Assistant Professor of Sociology at the University of Pennsylvania. Her research explores how work, families, and public policies structure economic inequalities, with a particular focus on how inequalities change over time and over the life course. 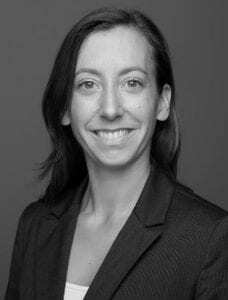 Her research has appeared in Demography, The Russell Sage Foundation Journal of the Social Sciences, International Migration Review, and elsewhere. Nick Graetz is a PhD student in Demography at the University of Pennsylvania who specializes in quantitative, spatial, and public health research. His research has appeared in Nature, the New England Journal of Medicine, PLOS One, and elsewhere. Cohen, Daniel Aldana. 2016. “Petro Gotham, People’s Gotham.” Pp. 47–54 in Nonstop Metropolis: A New York City Atlas, edited by R. Solnit and J. Jelly-Shapiro. Berkeley: University of California Press. Graetz, Nick. et al. 2018. “Mapping local variation in education across Africa, 2000-2015.” Nature 555: 48-53. Gonalons-Pons, Pilar. “Gender and Class Housework Inequalities in the Era of Outsourcing Hiring Domestic Work in Spain.” Social Science Research 52 (July 1, 2015): 208–18. Rice, Jennifer L., Daniel Aldana Cohen, Joshua Long, and Jason R. Jurjevich. 2019. “Contradictions of the Climate-Friendly City: New Perspectives on Eco-Gentrification and Housing Justice.” International Journal of Urban and Regional Research. Online first, March 1. Ummel, Kevin. 2016. Impact of CCL’s Proposed Carbon Fee and Dividend Policy: A High-Resolution Analysis of the Financial Effect on U.S. Households. Wachsmuth, David, Daniel Aldana Cohen, and Hillary Angelo. 2016. “Expand the Frontiers of Urban Sustainability.” Nature 536:391–93. © 2019 Socio-Spatial Climate Collaborative, or (SC)2. All rights reserved. This project is supported by the Kleinman Center for Energy Policy and the Population Studies Center at the University of Pennsylvania.